Small or huge, attending a festival is always in an individual’s bucket list. People from different regions of the globe host countless festivals every year which are attended by millions of people. If you want to add more fun to your celebrations, then organizing a mini-festival can be an exciting decision. 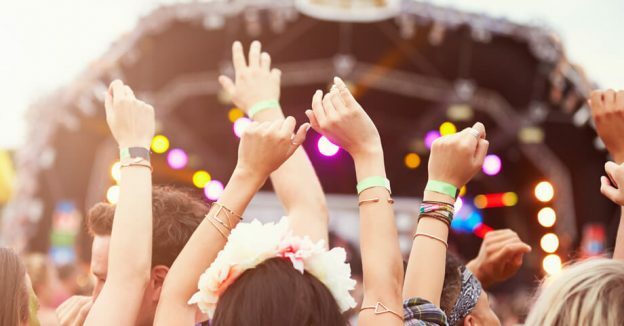 Whether it’s a music festival, a book fair, or an even focused on foods and drinks, you need some creative ways to raise the number of attendees. You will require a big space, an organizing team, and loads of entertaining items to create enthusiasm among the attendees. Customized Silicone Wristbands can help you in many ways. Replace your boring paper tickets with unique and colorful rubber bracelets. Make your own wristbands that portray your festival as a fun event to attend. Instead of tickets, give personalized bracelets to people. They will keep it with them for a long time after the event. Wristbands aren’t equipped with digital technology, but they are capable of providing some security to your festival. During the entry, people with customized silicone wristbands given by the organizer will be allowed to enter the venue. In this way, you can eliminate the chances of strangers attending the event without permission. Whether it’s a small event or a big festival, lots of people are going to attend it. There will be attendees, performers, management staff, and individuals with different purposes. In the absence of an effective management tool, it may be difficult for you to manage all sections of attendees. You can use personalized rubber wristbands in different colors of passes it by the geauxmaids.com lafayette LA to manage the crowd. You can get custom silicone bracelets in many colors to give them as a gift to your festival’s attendees. Wristbands are inexpensive, durable, flexible, non-allergic, and fashionable accessories that you can personalize in a huge number to make a long-lasting impression on your attendees. MakeYourWristbands.com makes it easy for you to customize wristbands for your festival. You can choose, design, and order bracelets in many colors without moving from your place. You will get the personalized wristbands at your doorstep. So if you are planning to organize a festival, get these colorful accessories to add more fun to your event.